“You find the spot and I'll find the money/ you be the pretty and I'll be the funny/ you plant the flowers, I'll plant the kisses/ baby, let's get right down to business/ I'll hang the pictures, you hang the stars/ you pick the paint, I'll pick a guitar/ sing you a song out there with the crickets and the frogs/ you name the babies and I'll name the dogs.” - I'll Name The Dogs - Matt Dragstrem-Ben Hayslip-Josh Thompson. 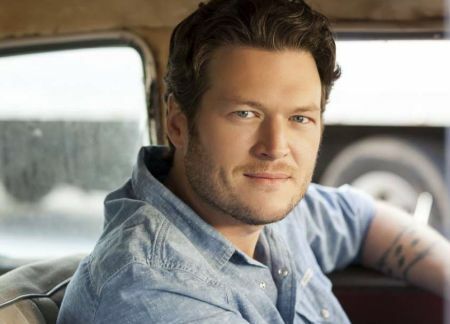 Oklahoma singing actor Blake Shelton has long honoured his home state in his music so it's fitting he named his 13th album after a lake near his home. Lake Texoma is a reservoir formed by Denison Dam on the Red River at the border of Oklahoma and Texas - due south of both Tishomingo, Oklahoma where Shelton lives, and his hometown Ada. Nomenclature is Shelton's strong suit - accessible album entrée I'll Name The Dogs exudes extra-marital canine humour for the twice wed singer. Blake proved divorce from canine rescue queen and Texan chart topper Miranda Lambert, 34, on July 2015 after a four year marriage has not doused his droll humour. Shelton, 42 on June 18, recruited tame terriers to walk the aisle at a seniors wedding in his new video for I'll Name The Dogs. But the veteran Voice coach and mentor was discreet enough to ensure those pesky pooches did not double up as ring bearers. Ben Hayslip, Matt Dragstrem and Josh Thompson wrote the canine celebration on the disc that features the Hayslip penned bucolic bookend finale I Lived It - also featured in video form on the June 16 episode of Nu Country TV . Shelton ensures there's a hedonistic humour permeating most songs on his big selling album produced by Scott Hendricks. At The House - penned by prolific hit writer Craig Wiseman and Jamie Moore - exudes a sensual strut by name checking and thanking a Vin Diesel lookalike for being in absentia to ensure a Barry White candle lit libido lifter. Shelton's character doesn't need Viagra in the tune that segues into another romance requiem Beside You Babe and the equally celebratory Why Me from the hit writing trio Ashley Gorley, Dallas Davidson and Ross Copperman. This is a down home homage to laid back love in the rural romance lane with Money - penned by Wiseman, James Bailey and Ryan Ogren - referencing Burger King and Nobu to signpost the male lead's rags to riches. Yes, even rhyming Ramen with Charmin and a buffalo nickel with a Burger king pickle. “Knows how to set me on fire/ she's always holding the match/ and when my body's beside hers/ there ain't no turning back/ she's Revlon red in the blackest night/ lighting up the room and the world just like/ she's turning me on.” - Turning Me On - Blake Shelton-Jessi Alexander-Josh Osborne. Money is the perfect primer for Turning Me On - Blake's only co-write on the 11 song album. It was inspired by his latest belle - another singer Gwen Stefani, now 48. The song, written by Shelton, Jessi Alexander and Josh Osborne, includes the lyric "she's Revlon red in the blackest night," a reference to Stefani's work with Revlon cosmetics and penchant for red lip colour. “I was on my bus alone, and I had my guitar, started playing a little melody that I was hearing in my head, and next thing you know, I started writing a song,” Shelton confessed. No need to guess that Shelton ensures his happiness homages continue with the summer metaphor in the seaside romance The Wave penned by Josh Osborne and Ross Copperman. But there is a sting in the tail of the tale when the belle decamps with the tee shirt and proves neither are likely to boomerang. Yet another Wiseman-Matt Dragstrem tune Hangover Due is a sibling of sorts to the Gorley-Rhett Akins-Ross Copperman rhetorical requiem When The Wine Wears Off . “Daddy drove the wheels off a flatbed Ford/ flies found a hole in the old screen door/ granny said the dress that my sister wore/ to church wasn't long enough/ mama poured grease in a Crisco can/ put a hundred thousand miles on a Sears box fan/ Uncle Joe put tobacco on my hand where them yellow jackets torn me up/ and I ain't making this up.” - I Lived It - Ashley Gorley-Ben Hayslip-Rhett Akins-Ross Copperman. The fitting finale I Lived It is a three generation flashback to days of yore when humble rural families aired their peculiarities with not a hint of shame or elitism. Mama, daddy, granny and grand-daddy may have lived dysfunctional lives but they felt comfortable with no social media mirrors to reflect petty puerile posturing from behind cloistered keyboards. "That's the song that really stands out to everybody as maybe the best song on the album," Shelton revealed of the tune that takes him back to his childhood. "It's one of the greatest songs I've ever had a chance to record. It's hard to listen to this song without relating to it and having it take you back in time. It's hard not to fall in love with this song." Well, of course the sentiments were easy for Shelton to deliver in song. One of the four writers was Georgian Rhett Akins - sire of latter day chart topping star Thomas Rhett. None of us can forget Akins memorable hit That Ain't My Truck . Ironically, Blake's Oklahoma home was struck by a truck while he was doing an interview to promote his album. 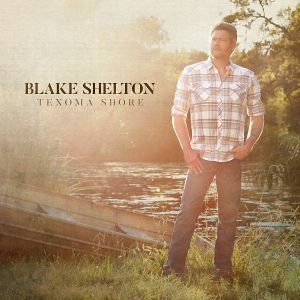 "So, I'm talking about Texoma Shore , and I made the album at my lake house," Blake revealed at the time. "There is a studio at my lake house in Oklahoma, and I just got a phone call. Somebody drove their truck through the front of my lake house, so if this album doesn't hit, then that's bad luck. "It was an accident. I'm trying to figure it out, too. There's a truck sticking out of the front of my freaking house out there. I gotta sell some records now for sure! It's one of them things. That's what you have insurance for. I'm not too worried about it." Well, Blake could find alternative accommodation at his Ole Red night club complex that opened on June 6 in downtown Nashville. That's when he's not out performing on the lost highway. Ole Red is a 26,000 square-foot venue that boasts a two-story bar and restaurant, retail area, performance space, dance floor, private VIP booths and a state of the art sound system. On top of that, literally, is a 6,000 square-foot rooftop with an indoor/outdoor bar and restaurant called The Lookout at Ole Red .